Be Outta Town by Noon, Kid!! T-744 The Two-Gun Kid, Murderer! T-750 Be Outta Town Before Noon, Kid! T-748 Dance, or Draw, Tenderfoot! 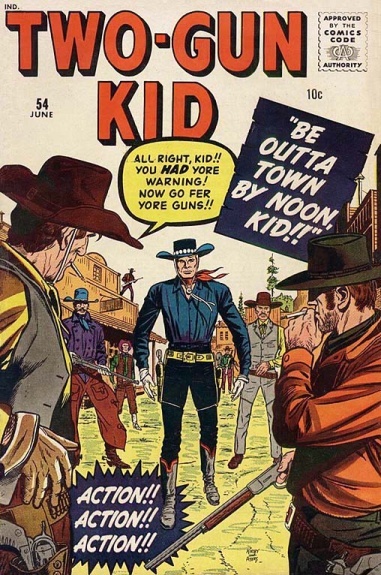 Notes: Jack Kirby's first Atlas western. T-753 The Guns of Sam Savage!